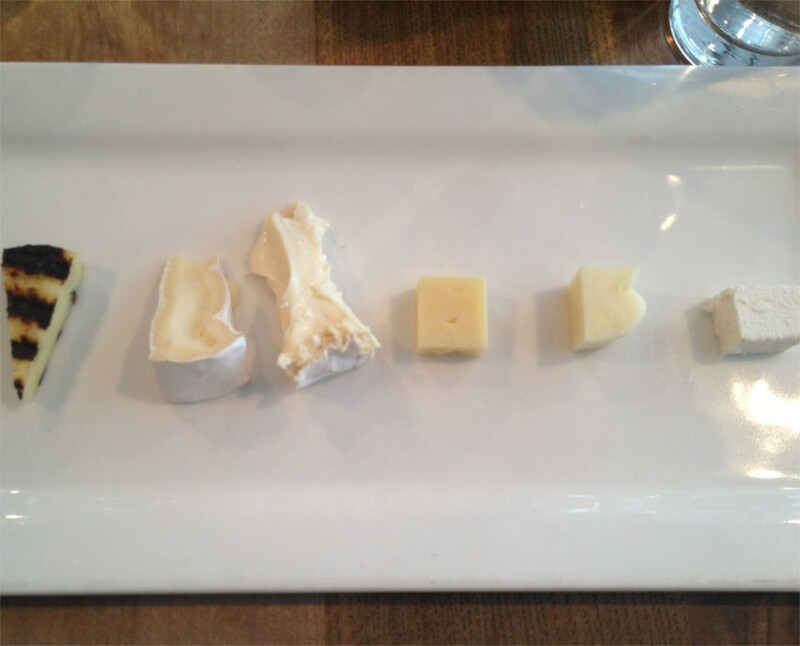 In 2013, the jury’s choice for the Canadian Cheese Grandprix winner sent shockwaves through the awards gala room and, let’s face it, created such dissatisfaction that a few disgruntled cheesemakers left the room in a hurry. That a fresh ricotta, however exquisite but needing only 6 hours to produce, could beat to the punch “fine” cheeses —aged and coddled sometimes for years— bordered on heresy for many. I remember how chef Danny St Pierre, called upon to justify the jury’s selection, had to explain how the ricotta Bella Casara from Ontario’s Quality Cheeses had proven too seductive, especially in cooking. I’m told however that the deliberations were quite arduous and the vote far from unanimous. 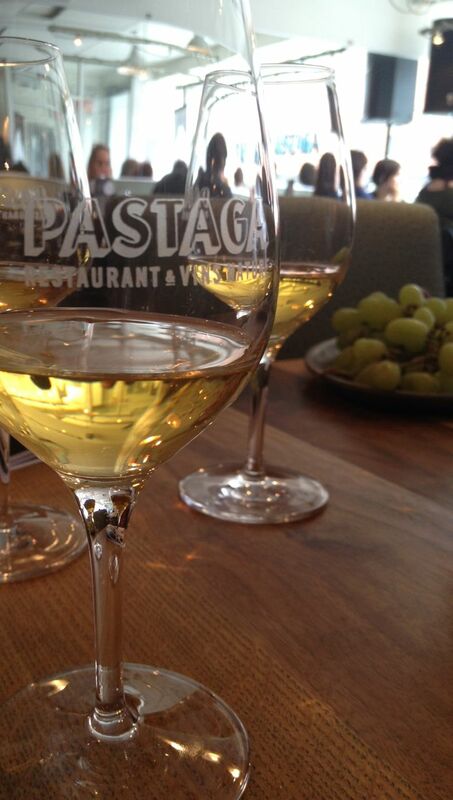 By contrast, the 2015 Grand Prize winner, the Laliberté from Fromagerie du Presbytère, rallied both the jury and the Montreal media present at the unveiling at Pastaga Restaurant, hosted by executive chef and jury member Martin Juneau. A well-earned first position! 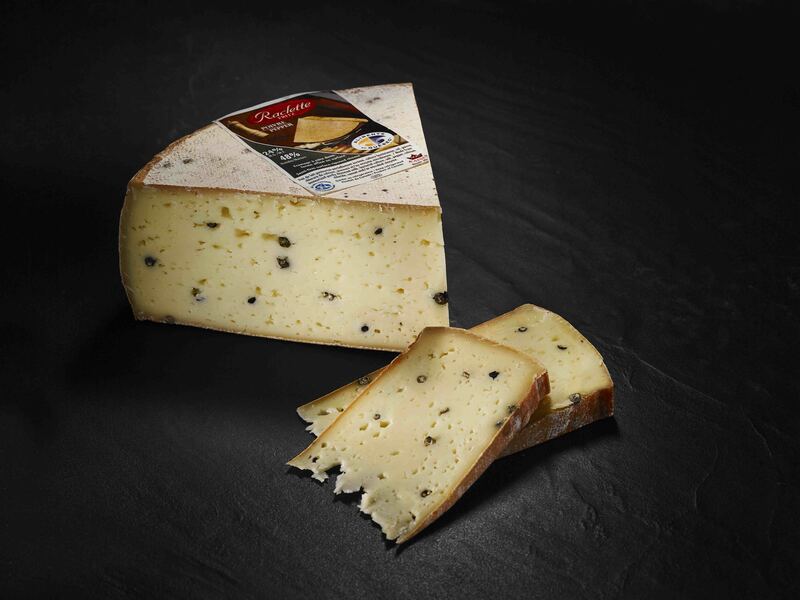 The Laliberté, a cream-enriched soft cheese with bloomy rind, seduced with its unctuous texture and surprisingly strong aromas. 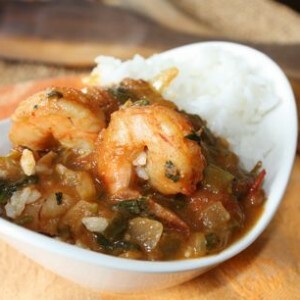 Jury President Phil Bélanger was taken with its unctuous paste as well as its notes of mushroom, pastures and root vegetables. While I prefer white wines with cheese, note to the wise, the perfect pairing would be a syrah according to its cheese maker. A great big tip of the hat then to Fromagerie du Presbytère, which also “placed” two more cheeses in top categories, namely the Bleu d’Élizabeth and the Louis d’Or, the overall 2011 Grand Prix winner. I learned during the Montreal unveiling that the cheese maker has bought a copper vat — after multiple administrative back-and-forths with the government-powers-that-be famously reluctant to approve artisan practices — and even purchased the church attached to the celebrated rectory, in David swallowing Goliath fashion. 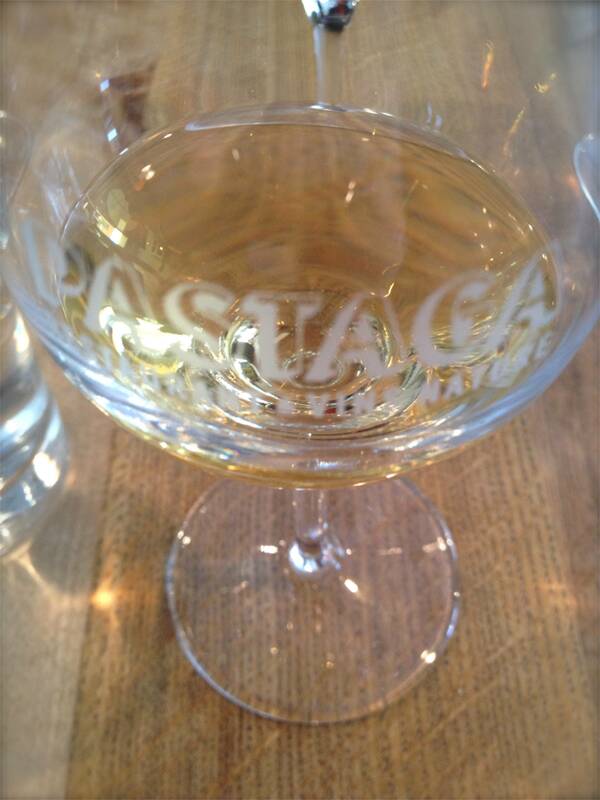 The 1st course featured the fresh cheeses, served with natural white wines hand-picked by the Pastaga sommelier. To accompany all: apple butter, cranberry jam, spicy nuts, grapes and a bread basket with a spectacular toasted brioche. 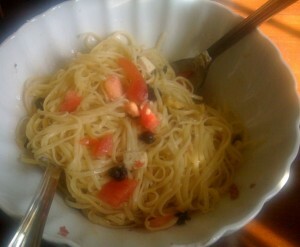 According to Martin Juneau, the Laliberté (third from the left, its cream content self-evident even in pictures) almost did not win since it had started to dry by the time it was served. 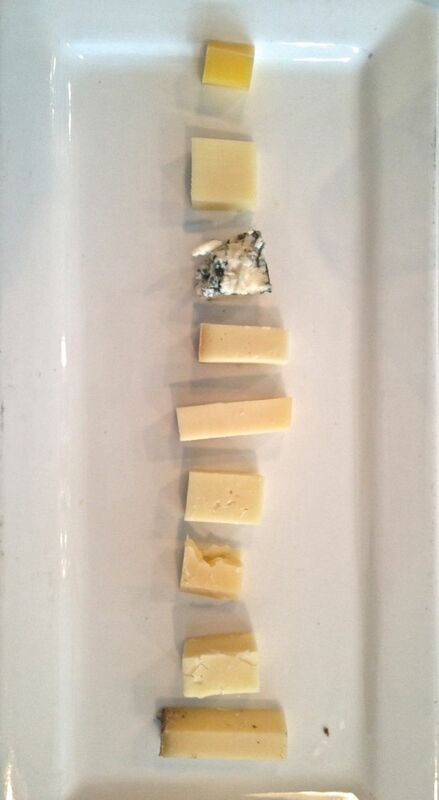 Some jury members, surprised by the discrepancy from the finalist round, asked that more cheese be brought. The rest is history, as they say. The 2nd course featured reasonable bites, thank God. Pastaga also served salads on the side: a mustardy rémoulade for the fresh cheeses; a rye, broccoli and grape salad for the 2nd course; and a buttery Boston lettuce with blue cheese for the final round of firm cheeses. Taking notes here? 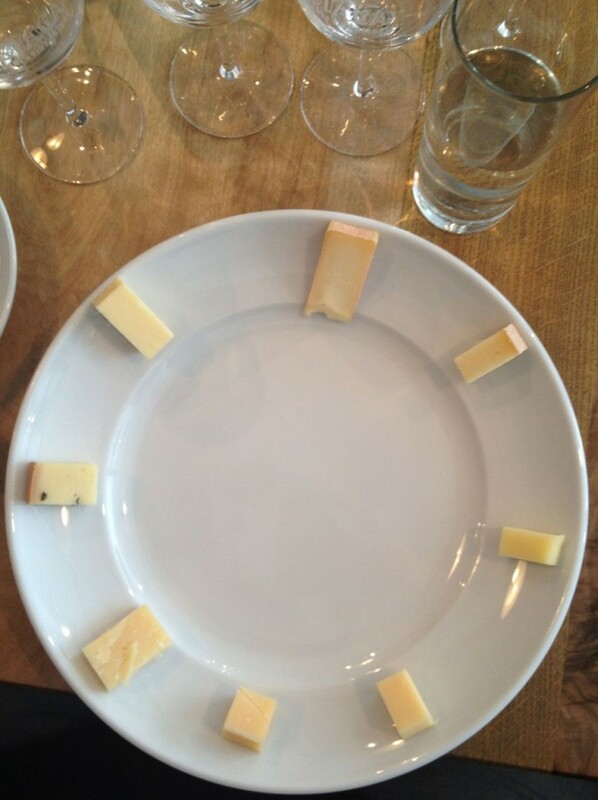 The last course with its firm cheeses and lone blue offering. Since I favour the former, the selection I liked best, which also included Alfred Le Fermier from Fromagerie La Station, a cheese I buy on a regular basis at home. The 2015 Edition also featured new categories devoted to Gouda cheeses, a family of cheeses gaining in popularity mostly in the Prairies with their history of Dutch immigration. 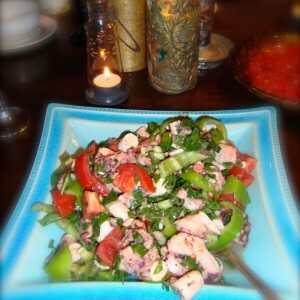 That said, I wasn’t duly impressed with the offering. A 48-month Gouda imported from the Netherlands, which I bought during a recent razzia at Yannick Fromagerie in Saint-Jérôme, outshined all the ones tasted during the official Montreal presentation. Let’s call it a work in progress. THE biggest thrill for me? More a pairing than a single cheese actually. The combination of a French Vin Jaune with the Swiss-type Handeck from Gunn’s Hill Artisan in Ontario was memorable, the wine and cheese bouncing off each other to create smoky, nutty notes galore. I’ll be reenacting the performance at home soon, although it’s quite the pricy proposition. Here are in quick succession my personal favourites, beyond the cheeses from Fromagerie du Presbytère and La Station which I buy year round. A full list of 2015 winners follows. Congratulations to all the cheese makers and special kudos to Quebec for walking away once again with the lion’s share of 13 out of 27 awards. Quite a bounty that honours our inspired—and inspiring—local cheese makers. 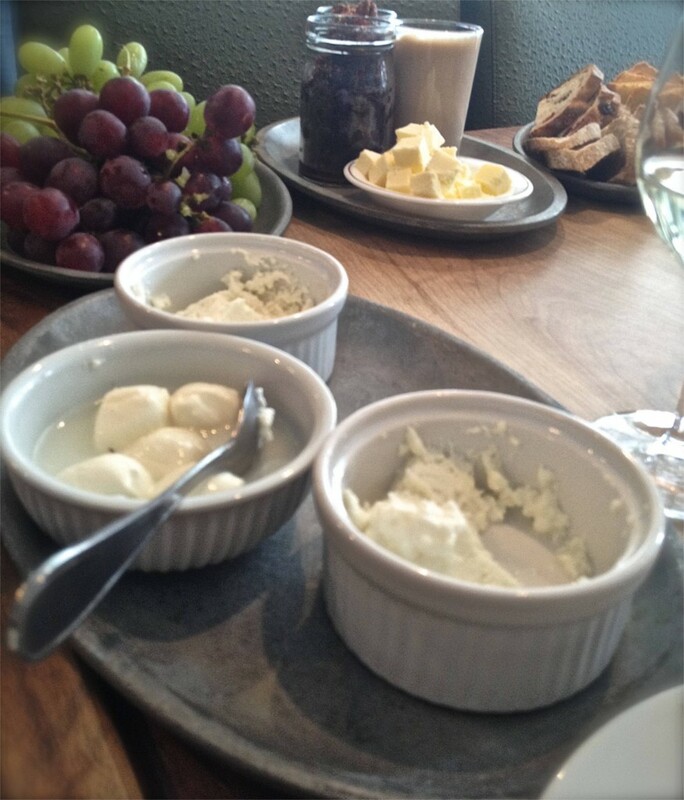 I wrote so here, I’ll repeat myself: this ricotta rocks. It also won its category for the second edition in a row. 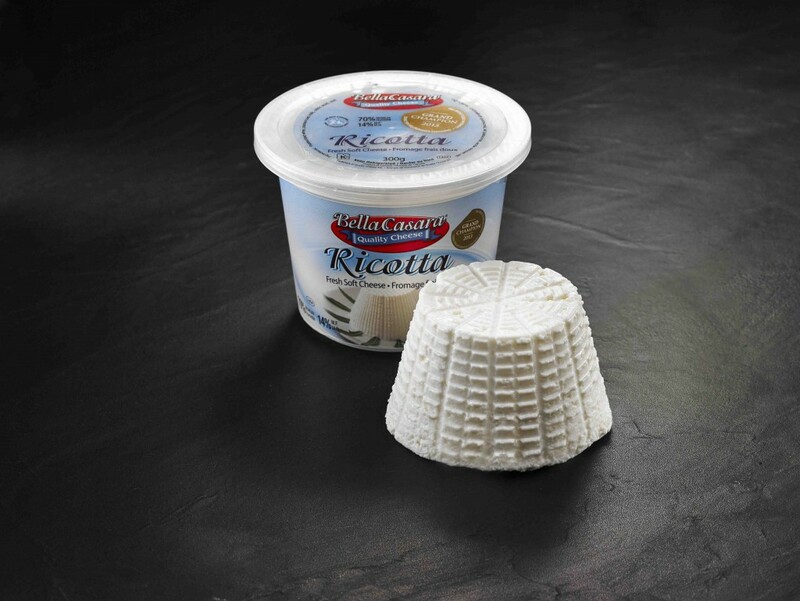 Unfortunately, the distribution of the Bella Casara ricotta in Québec food chains failed, with consumers refusing to pay $7 for an artisan ricotta when the commercial ones sell for half the price. So, if you’re lucky, look for it at your cheesemonger instead. 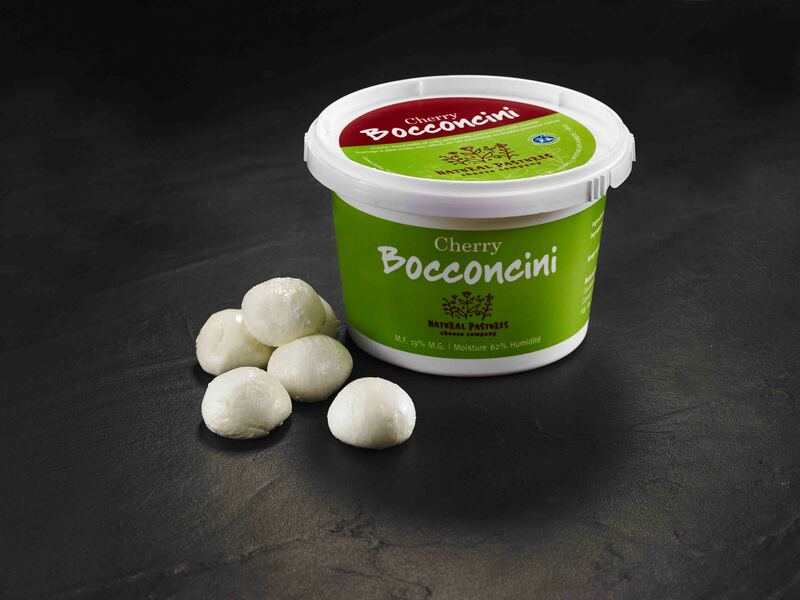 The Cherry Bocconcinis from British Columbia’s Natural Pastures shined with their delicate, fresh milk taste, worth the search. 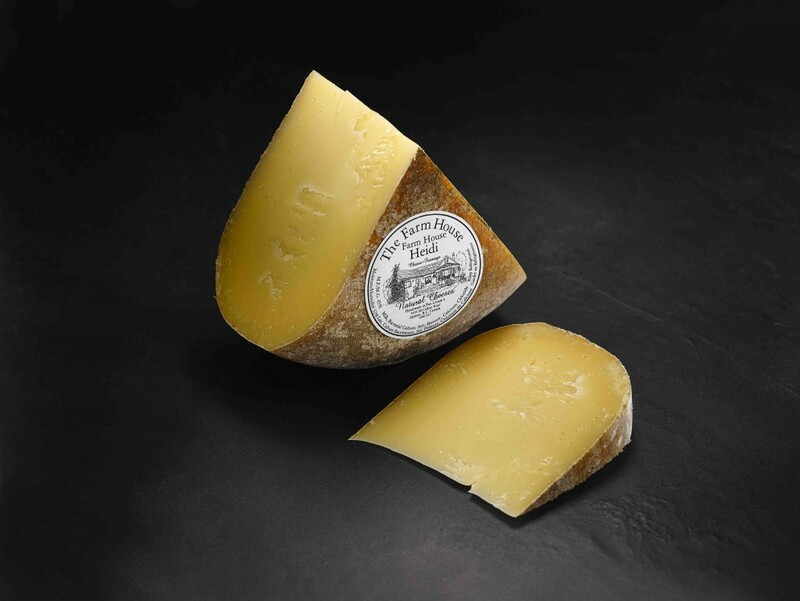 The Heidi from British Columbia’s Farm House, is a firm cheese with a gorgeous yellow paste and complex notes that remind me of Gruyère. Quite the looker in a cheese platter and an interesting choice in fondue, I suspect. The three raclettes from Fromagerie Fritz Kaiser convinced all, the jury and the media. Their mastery betrays the Swiss origins of the Kaiser patriarch who immigrated to Québec in his twenties, where he became the first artisan to produce raclette locally. Beyond the family DNA, the success of Kaiser cheeses is probably owed to the warm microclimate of Noyan and a state-of-the-art ripening room with local pine planking. 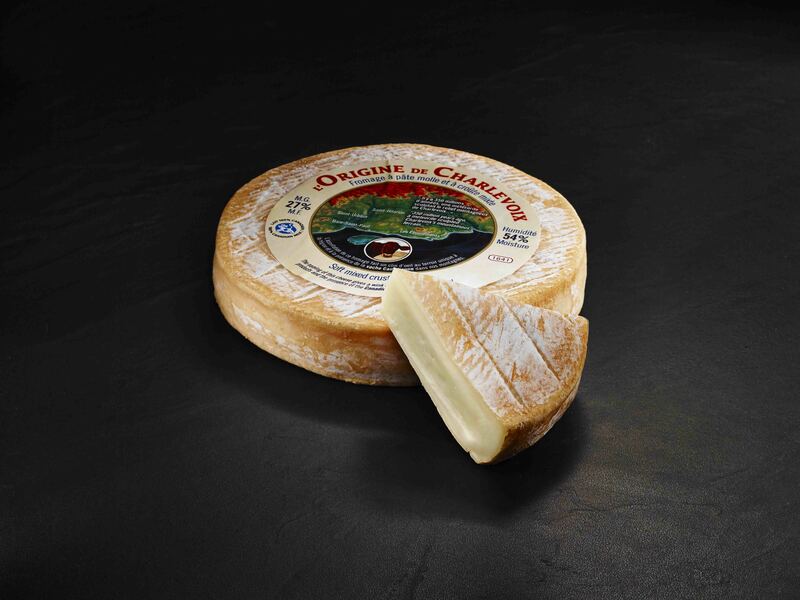 L’Origine de Charlevoix from Laiterie Charlevoix, a soft cheese with mixed rind, ranks as one of the (rare) cheeses made from the milk of Canadienne cows, a breed of dairy cows developed in the 18th Century, making it the only dairy cow indigenous to North America. (It seems there are only 500 or so left.) The same milk is used to make 1608, one of my favourite Québec cheeses from the same maker. The Origine of a beautiful relationship, I suspect. I like grilling cheeses and this Paillasson de l’isle d’Orléans spoke to me. I’m even thinking of organizing a taste test with the Fleur St-Michel, a garlic-flower infused cheese from Fromagerie du Terroir de Bellechasse for which I have a particular fondness. A great find and a cheese you’ll want to remember for your next barbecue. 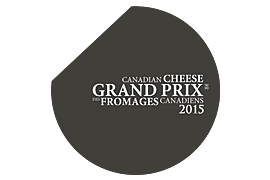 Here they are, the 2015 Canadian Cheese Grand Prix winners. Discoveries ahead! 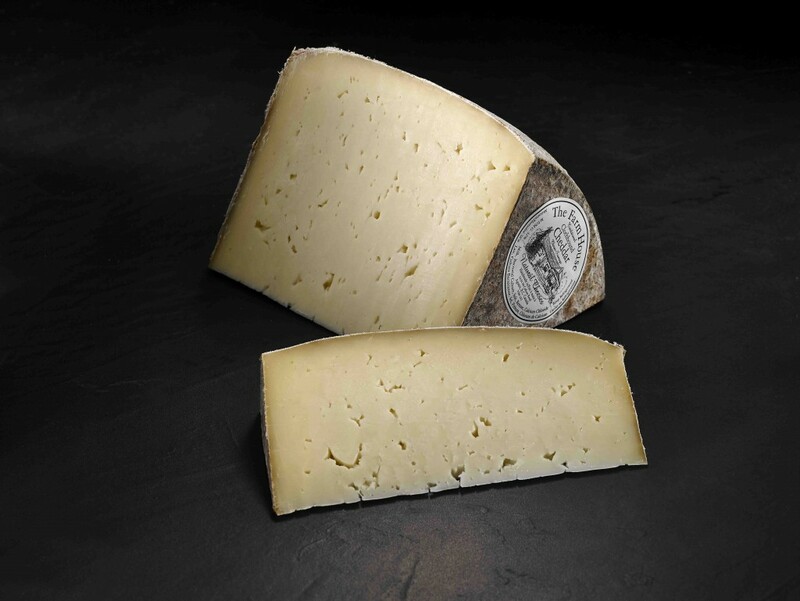 For more information about each winning cheese, you can also visit the official website here.